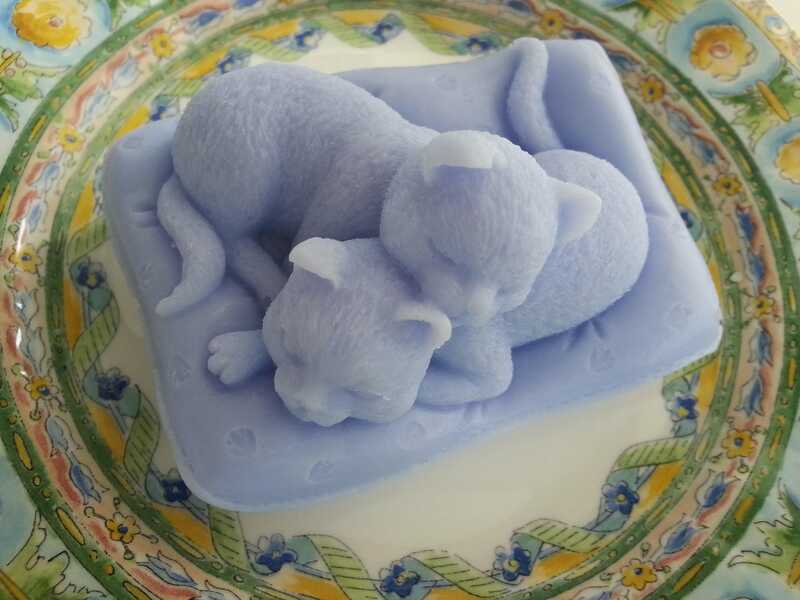 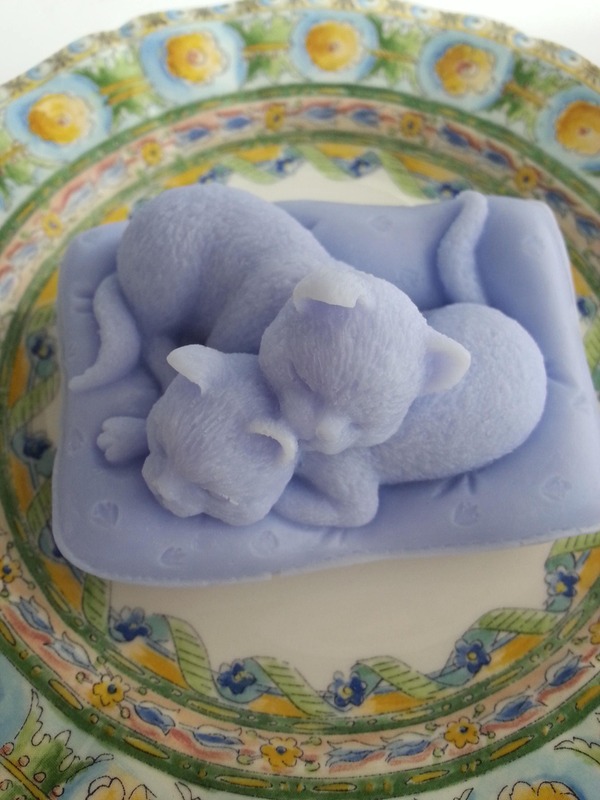 Individually crafted snuggly kitties on pillow glycerin soap. 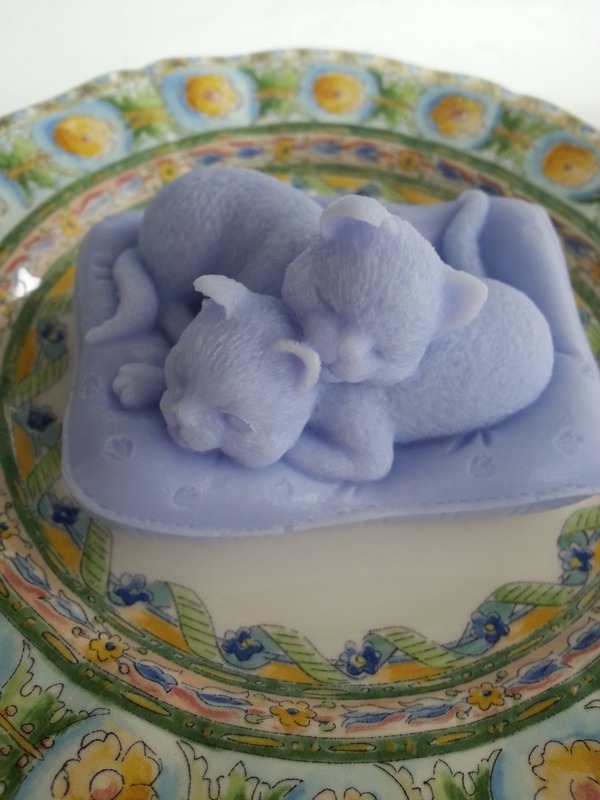 Scented with lavender and peppermint essential oils. 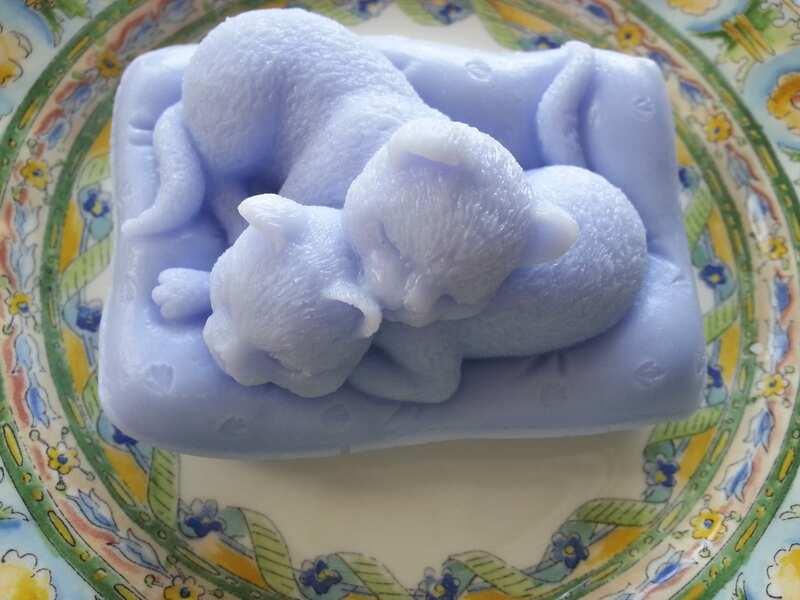 Size: About 3" x 2"
Ingredients: Coconut Oil, Palm Oil, Safflower Oil, Glycerine (kosher, of vegetable origin), Purified Water, Sodium Hydroxide (saponifying agent), Sorbitol, Propylene Glycol (made from vegetable glycerine), Sorbitan oleate (emulsifier), Oat protein, Titanium Dioxide (mineral whitener used in opaque soaps), natural colorants, and lavender and peppermint essential oils.